Your education got you to where you are now, so it was probably a great investment in your future! If you graduated with student loan debt, you may feel like the financial odds are stacked against you, but the truth is student loans don’t have to be painful. In fact, paying off student loan debt can help set the tone of good financial behavior. I know student loan debt may seem overwhelming and it’s probably the most debt you’ve ever had to date. 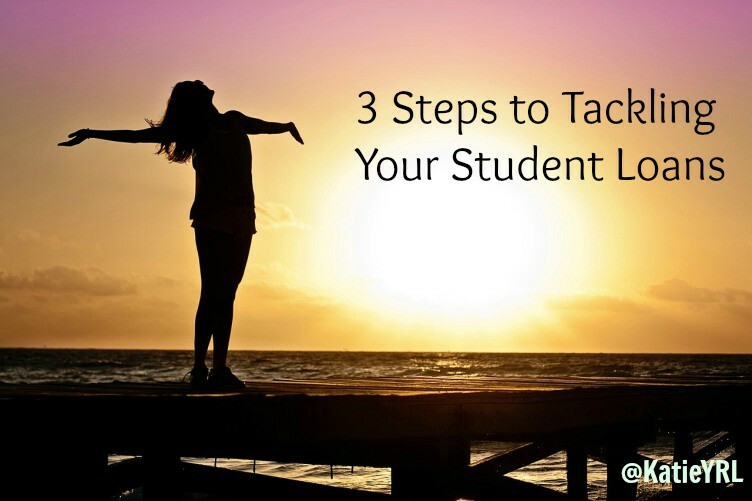 The key to student loan debt success is to get a clear picture, know your options, and put a plan in place to pay it off as quickly as possible. The easiest way to get a hold of your financial situation and pay off debt is to get a clear picture of your current financial standing. Have a look at your most recent student loan statements. Write down today’s date, the total amount you owe, how many months are left on the repayment plan, and your minimum monthly payments. The number you see may be very intimidating. Keep telling yourself that debt is only a temporary situation because debt is not forever. Making monthly payments that are over and above the required minimum payment will help pay off your debt sooner and save money on interest. Graduates need to know that even though you are automatically enrolled into a standard repayment plan by default there are actually seven different types of student loan debt repayment plans. Federal student loans give you options to help fit repaying debt into your budget. This helps find the best plan for your financial situation after graduation. If you’re not sure which repayment option is best for you, do some research online or contact your financial aid office. If you have more than one federal student loan it’s a good idea to look into the option of consolidating all your debt into one monthly payment. This makes your debt easier to manage with your budget, easier to track your repayment progress and it helps pay off your debt faster. Just because you’re focusing on repaying student loans doesn’t mean you can’t have other personal financial goals. If you figure out what you owe and optimize your repayment plan, your student loan debt can actually be affordable. I know that may sound crazy, but it’s true. Putting all your other goals on hold until your student loans are paid off will only make you resent your student loan. I know it’s not an ideal situation to graduate with student loan debt but after college is when your life begins – that includes setting and achieving personal goals. Goal planning is all about setting a budget. After you know how much you owe and set up automatic student loans payments, forget about your student loan debt and start focusing on all the other things you want to do with your money like travel, buy a home or saving for retirement. Debt doesn’t have to be a burden if you don’t let it be. Take control of your debt, set up repayment plans and get it paid off. Every time you look at your student loan statement just remember – #DebtIsNotForever.